Environmental: Not listed in CITES, but believed available from well-managed sources. Introduction: Various species of the genus Dryobalanops are distributed over part of Malaya, Sumatra, and Borneo, including Sarawak, Brunei, Sabah and East Kalimantan. The various species comprising kapur are given below. Names/Types: Dryobalanops aromatica Gaertn. f. and D. oblongifolia Dyer, produce Malaysian kapur for export, but locally the latter species is known as keladan. Dryobalanops aromatica Gaertn. f. D. lanceolata Burck., and possibly other species produce Sarawak kapur. Dryobalanops lanceolata Burck, and D. beccarii Dyer, and possibly other species produce Sabah kapur. Dryobalanops aromatica Gaertn. f. and D. oblongifolia Dyer are the principal species producing Indonesian kapur shipped from Sumatra. Dryobalanops aromatica Gaertn. f., D. oblongifolia Dyer. D. beccarii Dyer., D. fusca V.SI. and D. lanceolata Burck. 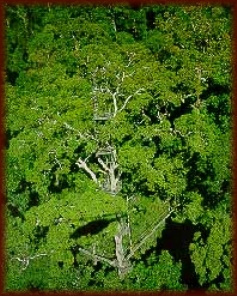 The Tree: The trees vary according to species and environment, but usually they are very large, often reaching a height of 60m and a diameter of 1.5m to 2.0m with slightly tapering boles some 30m long above the buttresses. Although tending to grow gregariously, it never forms pure stands. Indonesian Kapur 830 kg/m3 when dried. Drying: Reported to dry fairly well with an excellent resistance to warp and check. Strength: From the results of tests it would seem that in the green state Kapur is superior to Tectona Teak in general strength properties, but when dried, it is harder, and some 15 per cent stronger in bending, and about 50 per cent stiffer and more resistant to suddenly applied loads than Tectona Teak. (1) Timber Research and Development Association (TRADA) - is an internationally recognised centre of excellence on the specification and use of timber and wood products. (2) TRADA is a company limited by guarantee and not-for-profit membership-based organisation. TRADA's origins go back nearly 70 years and its name is synonymous with independence and authority. Its position in the industry is unique with a diverse membership encompassing companies and individuals from around the world and across the entire wood supply chain, from producers, merchants and manufacturers, to architects, engineers and end users.